Here is a handy guide for those who are new to Bush Nook Farmhouse and the surrounding area. Here's a rundown of some of the fun you can have during your stay. 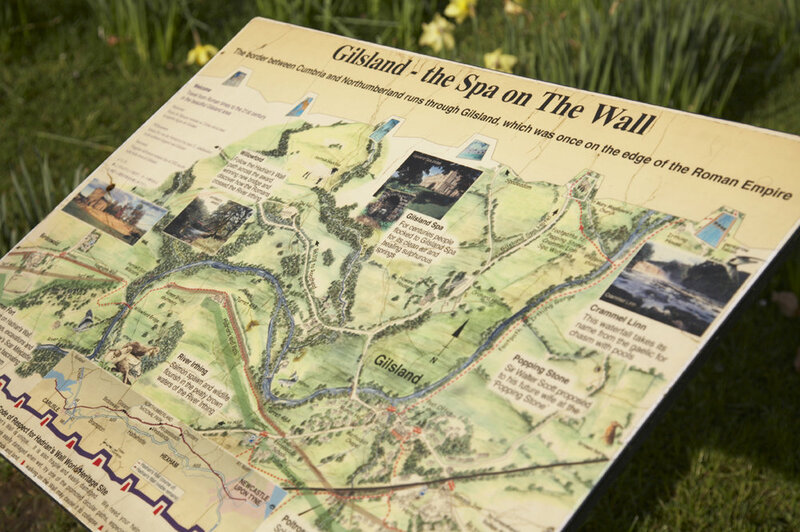 No visit to Hadrian's Wall Country is complete without learning about the area's rich, fascinating history. There is no better way to learn about how the Romans shaped the area than with a visit to Vindolanda Trust and Roman Army Museum. Easily accessible from the Farmhouse, these sites show in great detail how the Romans empire made its home in Cumbria as well as the extraordinary work being carried out to learn more by modern archaeologists whose excavations continue to teach us more about this fascinating historical period. An educational and fun day out for the whole family. Bush Nook Farmhouse has long since been a hidden gem for those addicted to the outdoor pursuits. You'll easily be able to plan a walk or cycle route to match your ambition. The Hadrian's Wall Trail is a common destination. With a vibrant outdoor community in surrounding the villages surrounding your accommodation, you'll find memorable views and welcoming smiles. Would you rather enjoy the scenic surroundings from the comfort of a warm settee? Great news! Bush Nook is fully equipped with a fully stocked honesty bar, communal areas and there's even a relaxing outdoor hot tub. The perfect place to watch the sun set.